The Twitter-verse is huge and full of valuable information, especially about health and wellness. Everyone has an opinion, so it can be tough to decide whom to follow. Luckily, you don't have to! We chose the best of the best Twitter feeds in fitness, health, and happiness for your viewing pleasure. To separate the game-changers from the rest of the field, we judged each account based on reach, trustworthiness, number of interactions, and number (and quality) of tweets in a given week. The results are in, and these 53 accounts (listed in no particular order) are our picks for must-follow feeds in 2013. Happy tweeting, y'all! 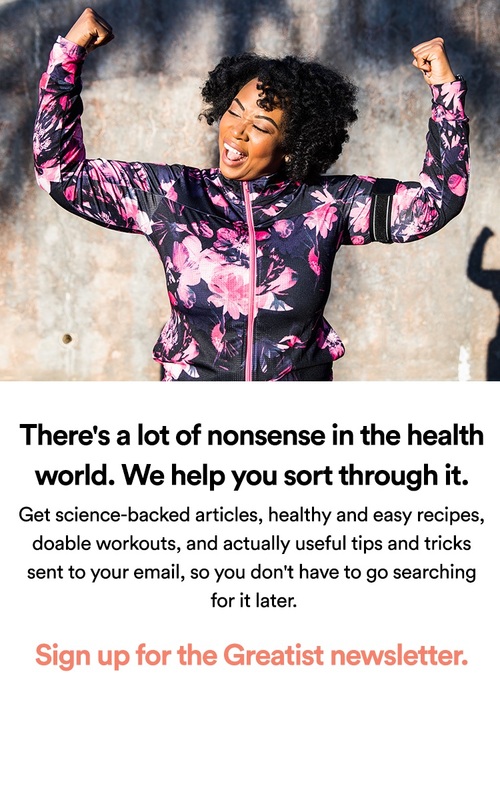 Fit, healthy, and happy ladies: Look no further than this Twitter account for your daily dose of healthy eating, fitness news, and product reviews. Plus, you also get their hilarious personal stories and happenings. Much like their blog, these girls keep it real in the Twittersphere. DailyBurn's Twitter feed goes way beyond the fitness videos the site is famous for. Keep this account bookmarked for recipes, quick health tips, and plenty of motivation from the video pros themselves and fans around the world. Nia Shanks wants you to get off your duff and become a Beautiful Badass! Her blog, Lift Like a Girl, is all about empowering women to ditch crazy diets, OCD food habits, and hour-long slogs on the elliptical. She is one of the co-founders of Girls Gone Strong, an initiative that inspires women to pursue strength and health. On her Twitter account, Shanks answers questions and shares articles about weight training, diet, and body acceptance. If you follow health and fitness, odds are pretty high you're already following Adam Bornstein. The best selling author of Engineering the Alpha was once Editorial Director of LIVESTRONG and Fitness Editor at Men's Health. He's made a name for himself by rethinking health and fitness and backing it up with rock-solid research. When it comes to putting the "celebrity" in celebrity trainer, no one does it quite like Jeff Halevy. A prolific author and renowned trainer, Halevy is also an advisor to Michelle Obama's Let's Move! campaign and is working to develop better activity guidelines for America's public schools. When he's not tweeting his latest articles and his efforts to curb childhood obesity, Halevy finds time to run Halevy Life, a New York City gym famous for training famous people. Ever heard of FitFluential? Kelly Olexa founded the extremely successful blog network which focuses on connecting people within the health and fitness space. Head to her main account to check in on Olexa's fitness accolades as well as her prompts to get followers off their tushes and lifting those dumbbells. The mastermind behind Renegade Training, Jason Ferruggia was one of the fitness world's first online rockstars. He's an especially prolific tweeter, using the platform to connect with his many fans and clients from all walks of life. Ferruggia also compiles some of the best workout playlists out there and shares a new blood-pumping song every day. Dan Trink is big, bald, and very, very smart. After trading in corporate life to take on the fitness world in his late 20s, Trink became Director of Training at New York's Peak Performance. Since then, he's developed some of the industry's best-known strength and conditioning programs. Check out his Twitter page for meditations on life, strength, and a welcome dose of humor about both. The FitChick inspires her fans and followers to love running and fitness as much as she does by responding (enthusiastically!) to pretty much every tweet she gets. Follow her for updates on her speedy adventures and misadventures across the concrete jungle. Dave Zinczenko is the CEO of Galvanized Brands — a health and wellness media company — and the Consulting Editorial Director of Men's Fitness. On top of all that, he also runs a pretty sweet Twitter account loaded with videos, personal tips, and insights from the magazine. Beside offering a peek in to the workings of Men's Fitness, Zinczenko's account is personable and engaging, despite his crazy schedule. John Romaniello is the original fitness nerd and he's totally cool with you calling him that. Better known as simply "Roman," the "Engineering the Alpha" co-author (with fellow list member Adam Bornstein) is also the editorial muscle behind Schwarzenegger.com, the online home of history's most famous bodybuilder. Follow Roman for updates on everything training and Schwarzenegger, mixed with plenty of pop-culture references. When she's not teaching yoga at @stralayoga in NYC, Tara Stiles is traveling the world working on projects with everyone from Deepak Chopra to Reebok. She's funny and engaging, and never too serious to laugh at herself, which makes for a great yoga "guide" (as they call instructors at Strala) and a fun Twitter acount to follow. Where in the world is Steve Kamb? Part fitness evangelist and part world-traveler, Steve Kamb always has something interesting to tell his online following. Check in for lessons on efficient workouts coupled with some envy inducing travel photos. A personal trainer and strength coach, Joe Dowdell not only walks the walk, but also talks it with positions on the advisory boards of Fitness Magazine, BodyBuilding.com, FitFluential.com, and as a contributing Fitness Editor for Men's Health, Women's Health, and Men's Fitness. Dowdell's account details fitness tips as well as the goings on at his New York City gym, Peak Performance. CrossFit is one of the world's most popular fitness methodolgies, and it's only getting bigger. With thousands of affiliate gyms (or "boxes," as CrossFitters call them) and millions of loyal adherents, CrossFit has easily made the transition from perceived fad to fitness mainstay. The offical CrossFit account is an excellent source for info on elite fitness, the CrossFit Games, and, of course, a Workout of the Day. For fitness and wellness tweets that will keep you motivated, Rebecca Pachecho is it. Pacheco, who runs OmGal, is a yogi and a runner. But really, she's just a down-right spunky gal who's all about living a more fit, healthy, and happy life. Live from the road, Runner's World's Chief Running Officer (yup, that's a job) tweets all things running and racing. Follow him to hear about new running swag and cool races with plenty of positive vibes and encouragement for the road. Even if you're out of school, you can learn plenty from Ted Spiker, a journalism professor at the University of Florida. This Ironman-in-training writes (and teaches) about writing, media, sports, and overall health. His account is loaded with info for sports fiends and weekend warriors alike. As a former rugby player for the U.S. National Team, USA weightlifting coach, Jen Sinkler can run with pretty much anyone at the gym. Sinkler's account shows support for other women making strides in the fitness world and offers tidbits about her own training and fueling. This account is run by Christopher Brisley, founder of the charity Take a Challenge. Brisley overcame paralysis after a car hit him while he was out for a bike ride. Since then he's competed in major fitness events like ultra marathons. Brisley's account is all about amping up others to defeat the odds and keep moving. This celeb trainer knows a thing or two about balancing gym life and home life (he even created fitness DVDs so there's no excuse to miss a quick sweat session). On his account, Gunnar Peterson shares go-to moves, fitness inspiration, and a whole lot of funny. Surprise! 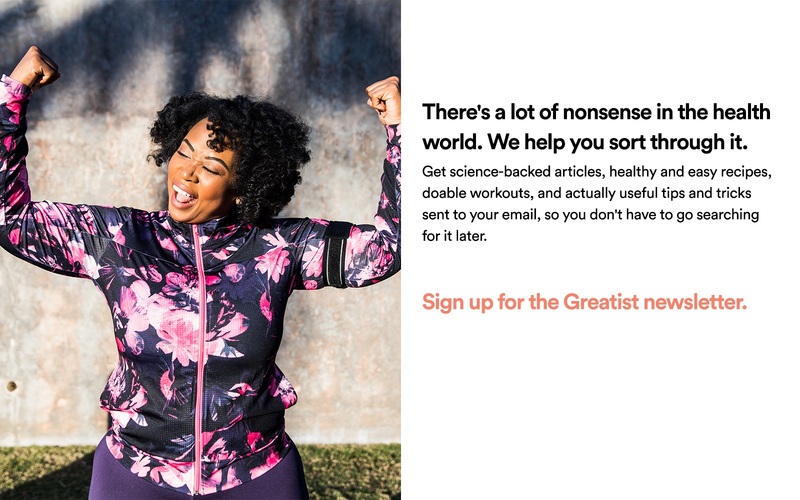 From deets on Superfoods to expert-approved bodyweight exercise circuits, Greatist is your one-stop source for trustworthy fitness, health, and happiness information. We're all about helping people make better choices, every day, with plenty of fun on the side. As the voice behind The New York Times' "Well" column, Tara Parker Pope tweets links to the Times’ health articles as well as other fascinating stories she’s found on the Web. Tim Ferriss is kind of nuts, but he's also kind of brilliant. The digital adventurer is known for his "4-Hour" books aimed at hacking our bodies and lifestyles to be more efficient and ultimately more exciting. Known for his crazy self-experiments, Ferriss' entertaining account mixes light self-promotion wiht often-unexpected resources. Nutritionist, vegan, and raw food enthusiast Gene Hamshaw tweets delicious and healthy recipes (bound to appeal to raw foodies and food cookers alike) and shares articles about living a healthy, compassionate life. Author of "Food Rules," "In Defense of Food," and (most recently) "Cooked," Michael Pollan knows all about the American food system, and he's determined to help fix it. For Pollan, it's all about one healthy living mantra: "Eat food. Not too much. Mostly plants." As a best-selling author of the "CrazySexy" food books, Kris Carr's account is loaded with simple tips and hacks to eat better and smarter. There's plenty of conversation and replies, as well as healthy dose of humor to keep her (and you) motivated. As a professor at NYU, Marion Nestle teaches students everyday. Follow her Twitter account and you can be her student, too. Writing (almost) daily on her blog, Food Matters, and regularly in the San Francisco Chronicle and The Atlantic, Nestle covers anything and everything related to food politics — and she knows what she's talking about. Dr. Lipman isn't afraid to march to the beat of his own drum. He practices "Good Medicine," a blend of Eastern and Western practices that aims to increase vitality and overall wellness. His daily tweets include new studies, articles, and infographics that get to the bottom of health issues from gluten insensitivity to antibiotics in meat. Lissa Rankin, M.D., is a champion of the mind's ability to heal the body and is the author (fittingly) of "Mind Over Medicine: Scientific Proof that You Can Heal Yourself." She tweets about living the mindfully healthy life and trusting your inner wisdom to guide you to optimal health. As the voice behind the popular Paleo blog Mark's Daily Apple, Mark Sisson is livin' the (prehistoric) dream. He advocates a Primal diet and lifestyle, as detailed in his book, "The Primal Blueprint." His account features plenty of scientific evidence and inspirational evidence that the Paleo diet is the way to go for a long and healthy life. Mark Bittman, a New York Times food writer and author of books including "How to Cook Everything" and the newly-releasted "Vegan Before 6," knows first-hand how eating healthy can change your life. He writes on everything from healthy recipes to how to be a part-time vegan. Dr. Andrew Weil's Twitter account reflects his overarching philosophy on health and wellness. As a practitioner of integrative medicine, Weil advocates exercise and a healthy, balanced diet as well as alternative and complementary therapies like accupuncture and homeopathy. Brad Pilon is out to change how Americans think about fasting. His book on intermittent fasting (IF), "Eat Stop Eat," claims that IF is the best way to lose weight, stay healthy, and best of all, avoid dieting. He tweets about weight loss, answers questions about dieting, and includes plenty of silly anecdotes and links for comic relief. Michael Eades and his wife Mary Dan are hardly slackers — they've written 14 books on health, nutrition, and exercise. Michael focuses specifically on weight loss and how a low-carb, high-protein diet can improve health. If you're looking for up-to-date info on macronutrients, vitamins, and minerals, be sure to check out Dr. Eades' account. A former research biochemist, Robb Wolf doesn't mess around when it comes to nutrition science and exercise. Aside from writing about the hunter-gatherer diet (he wrote the best-selling "The Paleo Solution"), Wolf coaches elite Olympic weightlifters and mixed martial arts fighers. Follow his account for info about eating Paleo and nutritional mythbusting. What in the world is going on in healthcare? Freelance health and medical writer Katie Hobson demystifies the complicated, political world of healthcare policy in the United States. As a former writer for news organizations like the Wall Street Journal, U.S. News & World Report, and TheStreet, Hobson brings her expert eye to health news. A board-certified physician, nutrition researcher, and New York Times best-selling author, Dr. Joel Fuhrman devotes most of his to getting Americans healthier, and then keeping them that way. In 140 characters or lesss, Fuhrman provides mini nutrition lessons with each tweet. Waylon Lewis, creator of elephantjournal.com, spends his time tweeting about sustainability in every imaginable way. From what we buy to what we eat to where we live, ElephantJournal is about living better (delivered with a dash of yoga and Buddhism, derived from Lewis' own upbringing). The meditative mastermind tweets thought-provoking bits of wisdom on spirituality and human experience. Plus he has links to his “AskDeepak” column, where he answers questions on love, life, and happiness. Don’t pick your nose, pick your brain. Maria Popova runs the Brainpicker website, where she curates a selection of news articles, histories, and images related to creativity. Follow her for inspiring quotations and links to her weekly posts. Leo Babauta, a.k.a. the most Zen guy on the planet, tweets links to his daily posts on finding peace and balance. Every so often he asks his readers what they’re grateful for, what changed their life, and what makes them smile. Host of "This Emoitional Life" on PBS, author of "Stumbling on Happiness," and student-favorite Professor of Psychology at Harvard, Daniel Gilbert is the real deal. His feed is equal parts thought-provoking articles and seriously feel good finds. Best-selling author of "Quiet" and TED-talking pro, Susan Cain's account is a well-spring of thoughtful tweets, replies, articles, and questions about introversion and well-being. Cain is great at engaging her (many) followers and giving snippets of her increasingly busy life. This isn't your average Twitter account. It's run by Action for Happiness, a British non-profit organization dedicated to building a happier society. Through calls to action, new research, pledges, and other tips, Action for Happiness promotes empathy, generosity, compassion, curiosity, and kindness. Check this account daily for new ideas on how to create more happiness in the world, one person at a time. Multitasking journalist Annie Murphy Paul writes about learning and personality for publications like TIME Magazine, Psychology Today, and The New York Times Magazine. Her books, "The Cult of Personality" and "Origins," deal with the science of personality tests and prenatal influences, respectively. Swing by her Twitter account for your daily doses of psychology and education. "Don't live to geek; geek to live." Lifehacker's motto summarizes its mission: Make your life easier with cool hacks and unexpected tips. Ever wanted to make your own energy bars? Learn which airlines are best for redeeming frequent flyer miles? Make tastier sweet bread with ice cream? Don't worry, Lifehacker has one of everything. Tweeting about self-affirmation, personal growth, goal achievement, meditation, gratitude, and everything in between, Gabby Bernstein (author of "May Cause Miracles" and founder of the social-networking site Her Future) is like a best friend whispering sound advice into your ear (or at least onto your computer screen). Yoga Mama Elena Brower (co-owner of Virayoga in NYC and co-author of "Art of Attention") tweets heartfelt, down-to-earth messages about yoga, self love, mindfulness, and living from the heart. The Slow Food Movement’s official account sends out daily tweets about building a healthy, ethical, sustainable food system. Follow for tips about eating mindfully, reconnecting with our food, making cocktails straight from the garden, and attracting butterflies (seriously). From quotations from Emily Dickinson to the latest science on health and wellness and weekly “secrets of adulthood,” the author of "The Happiness Project" is out to make her followers smile. Follow her for a look into her quirky habits and interesting discussions around well-being. Sustainable living pros tweet about organic gardening, sustainable food systems, natural health and healing, homesteading, DIY, and pretty much anything related to living a life connected to nature and creating healthier people and Earth. See who Greatist added (and who didn't make the cut) from our 2012 Must-Follow Health and Fitness Twitter Accounts. Did we miss any of your favorites? Share your picks in the comments below!